Frank Turner is known for many things – you know, social issues, speaking his mind, being up for photos with his fans, that sort of thing – but dancing? Cutting a rug is not one of his strengths. So to see him full-on attack a dance routine in his newest video ‘Little Changes’, you gotta give the man from Winchester props, even if “the help of a choreographer (and two professionals)” was required. Ha! The song appears on Turner’s newest album ‘Be More Kind’, which dropped last Friday on Xtra Mile Recordings. Watch the funny video for ‘Little Changes’ below. For more of our coverage on Frank Turner, including Carrie’s catching of him at SXSW 2018, go here. If you haven’t read part 1 of my Luck Reunion recap, you can find it back here. After a busy afternoon of fine music, the sun started to set over Willie Nelson‘s Luck Ranch, and I made my way to the World Headquarters stage, where a full docket of fine music was scheduled for the evening. The crowd had already begun to gather in anticipation of the later acts, and they were enthusiastic in their support of Lukas Nelson and the Promise of the Real. Lukas Nelson, for those not in the know, is Willie Nelson’s son, but he and his surf-tinged country rock band have a dedicated following in their own right. His fans were especially delighted when he was joined on stage by a pair of special guests, Margo Price and Kurt Vile. Price made only a brief cameo after her surprise performance in the Luck Chapel earlier in the day, but Vile’s appearance segued into his own solo set, which received a surprisingly muted response from the Nelson family diehards in the crowd. Vile played songs from his own 2015 LP ‘b’lieve i’m goin down’ with assistance from the Promise of the Real, as well as a particularly moving solo cover of Bob Dylan‘s ‘Roll on John’. There was a rather long interlude after Vile’s set, and dusk fittingly turned to dark before Nathaniel Rateliff and the Night Sweats took the stage. Rateliff has become quite the showman with the success of his two most recent albums, the 2015 breakthrough self-titled LP and brand new release ‘Tearing at the Seams’, and he didn’t disappoint the eager fans at Luck. He and his band tore through tracks from both albums, joined near the end by members of the Preservation Hall Jazz Band (who also played earlier in the day) for a blistering finale leading into the evening’s main event. That highly anticipated main event was, of course, a performance by the man himself, Willie Nelson. Nelson was joined on stage by a cast of family and friends, including son Lukas, for a set chock full of well-worn but well-loved tunes, including ‘Whiskey River’, ‘Beer for My Horses’ (which always made me laugh when I was a little girl) and ‘Mamas Don’t Let Your Babies Grow Up to be Cowboys’. Fans in the audience were clearly primed to hear all the Willie Nelson classics they knew and loved, and Nelson didn’t disappoint. The strains of his final singalong were ringing in my ears as I made my way through the crowd to head back downtown, and I couldn’t resist a final look at the gathering as I departed. Lest we forget, among all the great old tunes of Willie Nelson’s storied past, the 84-year-old songwriter has a brand new album coming out on the 27th of April, called ‘Last Man Standing.’ Have a listen to its title track through here. Though internet access at the Luck Ranch had been spotty throughout the day, I was able to call an Uber to get back into Austin to catch two more shows downtown before calling it a night. I was thankful for my SXXpress pass when I arrived at the already crowded Mohawk to see British ex-pat Bishop Briggs, who has taken the alt-rock scene by storm since I last saw her in Phoenix in 2016. Her debut album ‘Church of Scars’, featuring hit tracks ‘White Flag’ and ‘River’, has just been released as this article goes to press. My final stop on this truly incredible day was at the Palm Door on Sixth, where diehard English troubadour Frank Turner was on stage for a solo set. 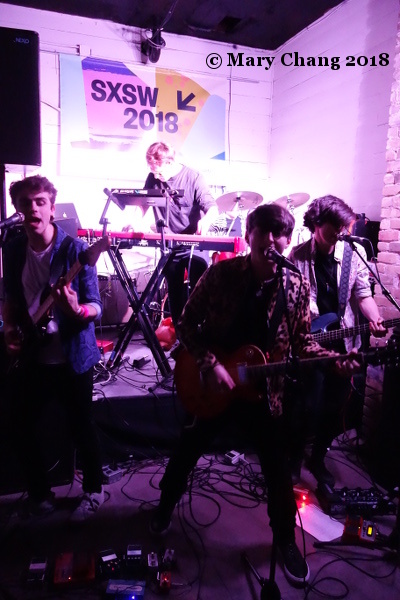 Turner is a regular fixture at SXSW, and his fans turned up in droves for this showcase hoping to hear their favourite tunes. Turner obliged them to a degree, but quickly shifted focus to songs from his forthcoming album ‘Be More Kind’, including the recently released and pointedly political single ‘Make America Great Again’. Check out its charming promo video, filmed in Austin during SXSW, right through here. 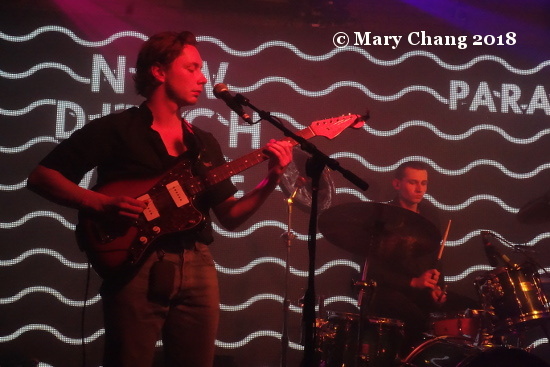 Seeing Turner’s relentless energy and enthusiasm for his new songs was a particular highlight of SXSW for me, even after the amazing songwriting I’d been privy to all day long at the Luck Reunion. 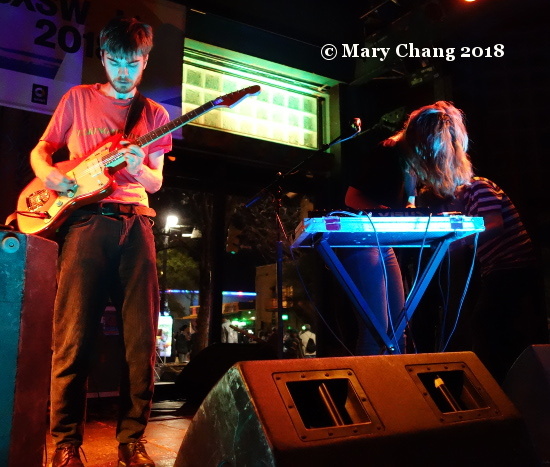 Thursday at SXSW 2018 was a remarkable day indeed, and one I won’t soon forget. Many hearty thanks to the Luck Reunion organisers, as well as to all the artists featured here.